A U.S. government-issued photo ID (e.g. 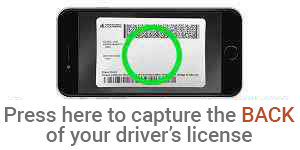 Driver’s License, Passport, State or Military ID). A credit or debit card or U.S. checking or savings account to fund your new account. I am an active/retired employee of one of the following organizations. I am an employee/member of one of the following Select Employment Groups (SEG). One of my family members is an employee/member of an eligible organization/SEG. Sometimes, simple is better. Our Simple Checking account is designed for members looking for a basic checking account to pay bills and manage daily expenses. Make your money work for you. Our Dividend Checking account is designed for members looking for a checking account that pays a dividend. An Investment Share Account lets you earn a higher dividend rate without tying up your money in long-term investments. All while keeping it readily available to you any time you need cash. A minimum opening deposit requirement applies. Looking for ways to invest your money? Term Share and IRA Term Share are certificate accounts for members who would like to save some extra money with a higher yielding savings vehicle for a specified term. Choose terms from six months to five years. A minimum opening deposit requirement applies. I agree to the E-Signature and Electronic Disclosures Agreement and authorize Hawaii State FCU to access credit records and related information for all applicants in order to process this application. I agree to the Disclosure of Products and Fees (Fee Schedule). I agree to the Overdraft Consent. I agree to the Privacy Notice, "What Does HSFCU Do With Your Personal Information."